Mark Miller, Libertarian candidate for Texas railroad commissioner. 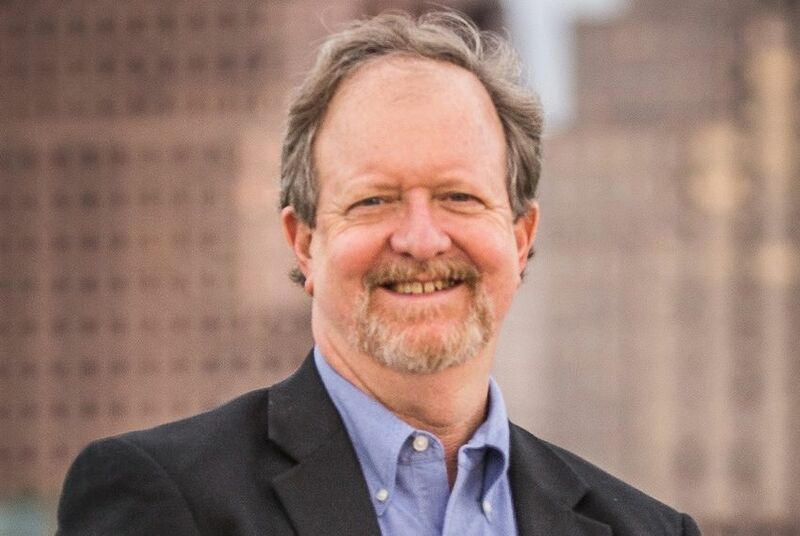 A Libertarian candidate for Texas railroad commissioner is taking the agency to task for its failure to track toxic injections into underground zones that could hold drinking water. He was responding to a Texas Tribune story revealing that the commission has permitted toxic injections into at least “a handful” of zones fitting the broad legal definition of drinking water sources. The agency does not know how many times that has happened over the past decades, even though it long ago agreed to track such injections. “Its lack of firm data on exactly where wastewater is being injected is troublesome,” wrote Miller, a petroleum engineer who now develops software for the industry. At issue are Class II injection wells, which plunge deep underground and hold often-hazardous industrial byproducts. Some hold liquid leftovers from petroleum drilling and fracking, while others involve naturally toxic fluids — drawn from the ground — that enhance oil production. The commission has permitted more than 56,000 across Texas. The commission acknowledges it has allowed injection into zones that could qualify for drinking water protections. But it has not tallied these instances. In 1982, state and federal regulators set up criteria for exempting certain aquifers from protections against injections, but the Railroad Commission has not been able to produce a map of which aquifers it has exempted. Both the commission and the EPA call the few injections they know of low-risk, and they say they have no evidence pointing to fouled water supplies. The Railroad Commission — with federal funding — is now combing through thousands of permits in search of any other injections it has permitted into aquifers that might qualify for protections. Miller faces Republican Wayne Christian and Democrat Grady Yarbrough in this year’s race to fill David Porter’s shoes on the three-member commission, which regulates oil and gas production, pipelines, mining and natural gas utilities. Christian, a former member of the Texas House, is the odds-on favorite to join a commission that has stayed all Republican for two decades. He would not comment specifically on the record-keeping questions but promised, if elected, "to ensure all oil and gas activity is done in a way that keeps the public safe, and that includes protecting groundwater." "The EPA, which has not exactly been friendly to our oil and gas industry, recently evaluated Texas' disposal well program and praised the commission for being 100% compliant," he said in a written statement. Christian was referring to an August EPA report saying Texas' inspection numbers "reflect an outstanding enforcement monitoring program" for disposal wells. Other parts of that report contradict the commission's public stance on earthquake risks from waste injections and recommend "continued high prioritization” of the effort to retroactively track injections into drinking water aquifers. Yarbrough was not familiar with the aquifer injection issue when first contacted Tuesday. In a followup phone call, he said he believed the Railroad Commission and EPA were colluding to keep information secret. "They’re not putting forth too much effort to protect the public,” he said. Miller, who self-published a book about the Railroad Commission after running for commissioner in 2014 (he received just 3 percent of the vote), said he believes the aquifer issue illustrates broader changes needed at the agency. The agency currently faces scrutiny from the Sunset Advisory Commission, and Miller said he backs several of that legislative body’s recommendations — including keeping better records of enforcement and transferring its dispute settling capabilities to the State Office of Administrative Hearings. Industry has pushed back against many of those recommendations. State lawmakers considered a host of recommendations to reshape and rename the Texas Railroad Commission, a powerful agency that oversees a host of oil and gas activities but not railroads.